Unsure about when is the best time to opt for a credit card? Read on to know the best time to apply for a credit card. Credit cards have made our life way simpler as it takes care of our immediate financial needs. Availing a credit card is quite an important decision which you must take after taking stock of your current financial situation. Credit cards need to be used wisely, else you might fall prey to the “debt trap”. The decision for applying for a credit card must be taken only after careful examination of your financial needs and selecting a card that suits to all your financial needs. Statistically, it has been observed that credit cards are sold more in the second half of the year i.e. from July onwards. Also, the sale is usually at the peak during the months of October to December. This could also be attributed to the shopping season, festivities, etc. 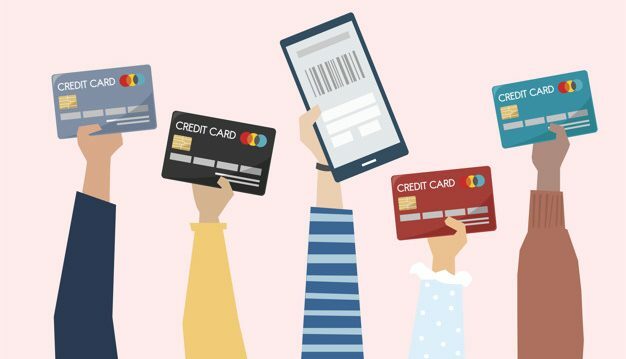 With many festivals around the corner, shopping season offers various attractive discounts on purchases to the customers so the credit card companies also roll out many attractive offers which make applying for a credit card the best time. However, this is not the only reason there are other important things that you must look into while applying for a credit card. When you are ready: Decision to opt a credit card shouldn’t be taken in haste. If you rush into a decision, chances are that you might end up in a debt trap. You need to opt for a credit card only when you are SURE of repaying the money on time. Invest a lot of time in doing research of all the available credit cards in the market and then pick a card that suits your needs, whether that’s rewards, balance transfer or some other feature. You can read online and then take an informed decision. The decision needs to be based purely on your financial need along with your current financial situation. When you have learned the trick: It is wise to know everything about credit cards rather than venturing into an unknown space. if you opt for a credit card without knowing how and when to use it then chances are you might get trapped in the vivacious circle of a debt trap. So, it is best to first master the trick of using a credit card by knowing and learning how and when to use it for making the best out of it. When you are not applying for a big loan: Applying for a credit card before applying for any big-ticket loan is a wise move. Big-ticket loan affects your credit score so it is better to apply for credit card well in advance. Another best option is after a big-ticket loan is closed. Both the situations are the best time to apply for credit card. Good credit history: if you have a bad credit history then opting for a credit card might turn into a bad decision as you are more likely to invite debt trap. But opting a credit card while having a good credit score is an excellent time as you will get tons of great options and a credit card with a higher credit limit. Check the offers: The best time to apply for a credit card is when the credit card company is offering a lot of attractive joining bonuses and rewards. These rewards and bonuses is a strategic move of the credit card company to draw new customers. Customers can make the most of them and can get themselves enrolled for an exciting credit card that pours heavy offers and rewards. Before changing current job or employment status: Defaulting a credit card payment or a bad payment history effects negatively your credit score so it is always better that cardholders avoid applying for credit card when are in the process of changing jobs or are resigning or are switching job to start business on their own or just taking some time out as it is better to avoid debt trap when they can least afford to. When you don’t have one: Having a credit card is helpful as it makes your shopping experience worthwhile. You can earn a lot of reward points while spending and also redeem earned reward points in exchange for exciting gifts and vouchers. A credit card is an essential tool that helps in improving and building solid financial history. This strong repayment history is very helpful while making big future financial transactions like a car loan or housing loan. All in all, the best time to opt for a credit card can be ANYTIME. Just make sure to do research and carefully assess your financial situation before applying.